It’s a teeny bit early for Christmas tree baubles and reindeer crafts – well, at my house it is always time for Christmas activities, but I know that other families want to celebrate spring and summer as well. Here are some lovely free spring crafts and printables to make with your family this weekend if you are staying at home. The gorgeous flower crown above comes from the beautiful party and lifestyle blog Oh Happy Day by Jordan Ferney. These lovely wreaths are a little more magical than your work-a-day daisy chain – perfect for a party, special picnic or family portrait. All you need is flowers and ribbon, although a bit of wire helps hold it together for longer. 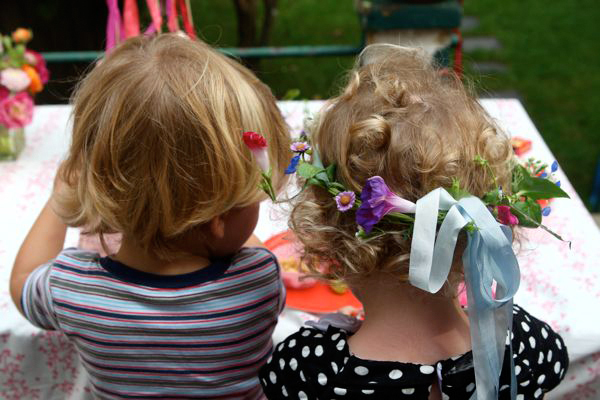 Your little ones can help if they want to gather flowers from the garden. See the details here, at Oh Happy Day. 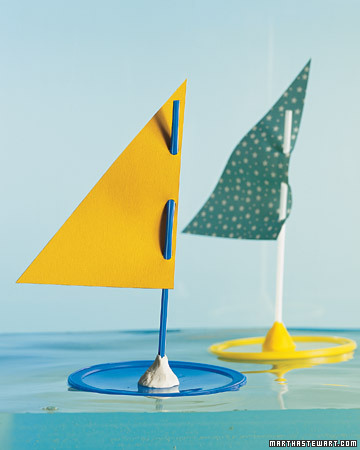 These homemade paper boats are perfect for a day out at the park or a local pond. Ever-creative Martha Stewart has instructions on how to create this lovely, practical toy with common household materials. See the details at Martha Stewart’s website. 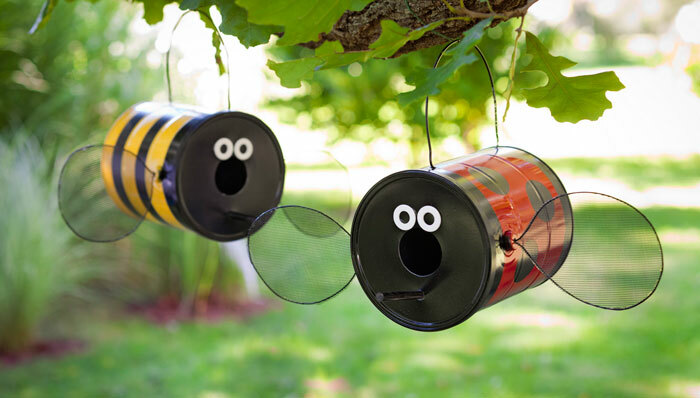 As winter makes a last retreat and the birds and bees are back in town, these cute ladybird and bee bird feeders are for parents and children to make together – while adults handle the scissors, children can paint and decorate the feeder. Although looking at it, I think it would be greatly improved with some reindeer antlers and a red nose… You can find the instructions here. 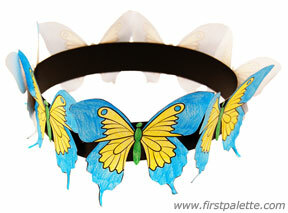 Play dress-up with this lovely butterfly crown – whether queen of the meadow or king of the garden, print and cut out these butterfly shapes for children to colour in. If butterflies aren’t to your taste, why not try sunflowers or big green leaves instead? It will also last a little longer than the floral crown above. You can download the free printable template and instructions from First Palette. The elves have their fingers crossed that the sun will come out, although there is still a lot of snow in Lapland! If you make any crafts this weekend, why not share with the Santa’s Lapland community on Facebook or Pinterest?